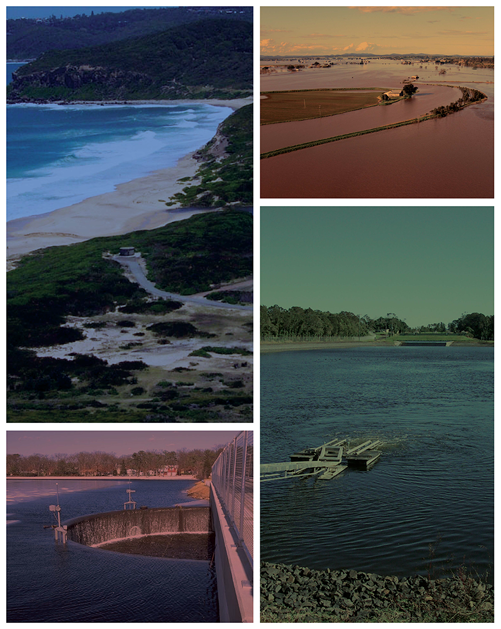 Flood events in Newcastle in June 2007 and most recently in South East Queensland’s Lockyer Valley in January 2011 have highlighted the importance of robust planning guidelines and building stability criteria for floodplains. These floods have also highlighted a requirement for accurate representation of flood hazard behaviour to support land use and flood evacuation planning documentation. Currently, two-dimensional (2D) hydrodynamic (numerical) models have become the de-facto standard for baseline flood planning and management, especially in urban areas. Investigations addressing flood behaviour definition have typically followed a scope devised and refined over many years by government agencies to meet statutory requirements. However, the development, application and calibration of numerical models is open to considerable interpretation. Individual agencies and the specialist consultants servicing these agencies have developed various techniques and methods to address overland flooding using 2D numerical models. However, in many instances, these methods are quite different and produce significantly different outcomes in terms of the generated flood behaviour characteristics. The presentation will provide an overview of recent research undertaken as part of Project 15 of the Australian Rainfall and Runoff Revision and funded by the Federal Department of Climate Change and Energy Efficiency and WRL. The research project investigated the application of 2D models in urban areas, with a particular focus on the representation of buildings and other floodplain obstacles flow obstacles in numerical models. A PDF Flyer with all the details is also available.